If you are looking for spiritual refreshment- you have found it! The songs here will uplift you and encourage you! Most of all they uplift the Lord! A great mix of bluegrass, a capella, harmony and guitar picking! Enjoy! Our group consists of Mick Norton, Chris Norton, Brandy Boudreaux, Shelby Norton, Amanda Kolb, Beckie Norton and Bonnie Norton. Except for Mick and Chris, the ages of the group members ranges from 6-18. In the fall of 2006, evangelist Glenn Kosiorek of Crosspoint String Band came to play at our church. He graciously offered to give some "bluegrass lessons" to anyone who might be interested in learning an instrument. The next monday evening, several church members showed up for some lessons. He taught us all "I'll Fly Away".... boy, were we excited!!! Over the next couple of years, we played a little bit, but the Lord called loud and clear in March 2009 to "get busy!" 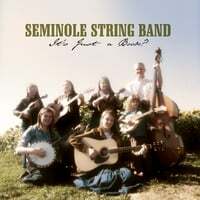 This is when The Seminole String Band officially formed and we started to practice together as a group. We play old-time hymns in a bluegrass style, good gospel songs about salvation, the Bible and the coming of our Lord Jesus Christ, and a few "acapella" songs, as well. We love the Lord, and want to lift Him way, way up. We thank God for allowing us to minister and witness through music!